The new leader of Scottish Labour claimed a major boost today as a new poll showed him overhaul the Tories and drag Labour back to second place behind the nationalists. 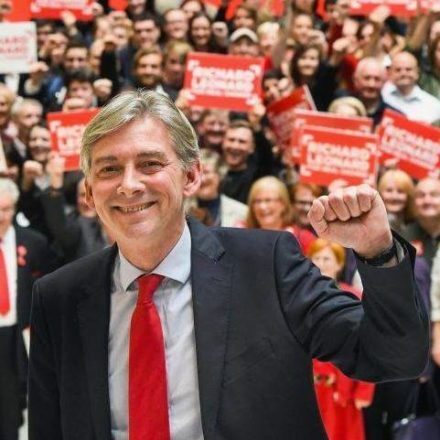 Richard Leonard, who was elected last month on a Corbynista policy agenda, enjoyed a slight rise in Scottish Labour’s polling while Tory support fell back. Scottish Labour posted 28 per cent, up one point, while the Tories hit 25 per cent, down four, when compared to the result of the Britain-wide general election in June. The SNP, who have been in power in Holyrood since 2007, were unchanged on 37 per cent, according to the Survation poll published in the Daily Record.